After being asked by multiple customers, we've decided to offer products for Rejected Joey's. Suz has created some wonderful kits! 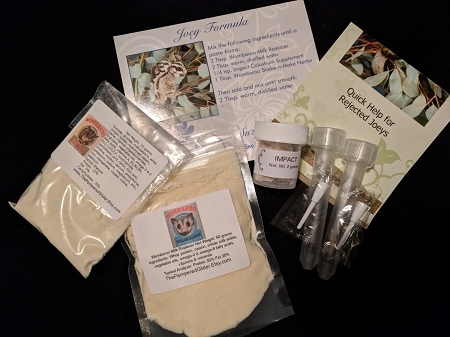 EMERGENCY JOEY SAMPLE FEEDING KIT will get you through a couple of nights until you are able to get the full formula or feeding kit. Joey Formula Combo comes in a resealable bag.